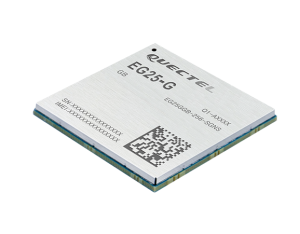 Quectel Wireless Solutions, a global supplier of internet of things (IoT) modules, has launched the EG18, an LTE Category 18, high-speed module that offers 1.2Gbps downlink and 150Mbps uplink peak rates. The EG18 supports Qualcomm IZat location technology Gen8C Lite (GPS, GLONASS, BeiDou, Galileo and QZSS). The integrated GNSS greatly simplifies product design, and provides quicker, more accurate and more dependable positioning capability, Quectel said. Based on Qualcomm’s SDX20 chipset and fully compliant with 3GPP R12 specification, EG18 supports wireless technologies such as carrier aggregation (CA), 4×4 multiple-input multiple-output (MIMO) technology and 256QAM. 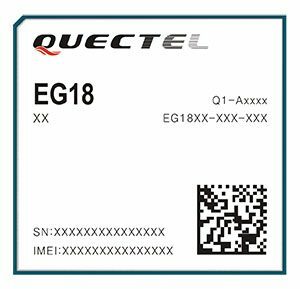 Quectel EG18 is a series of LTE Advanced modules optimized specially for M2M and IoT applications which support industrial operating temperature range of -40 to 85˚C. The EG18 is designed for ultra-high-speed industrial routers, in-vehicle video surveillance systems, cloud-based 4K IP-cameras and other applications that require very high throughput and low latency. EG25-G module. Quectel also launched an LTE Cat 4 module to provide global connectivity on up to 30 bands with LTE, 3G and 2G coverage all from a single SKU. This “all-in-one” module EG25-G is designed to improve the efficiency of global IoT deployment at optimized cost. 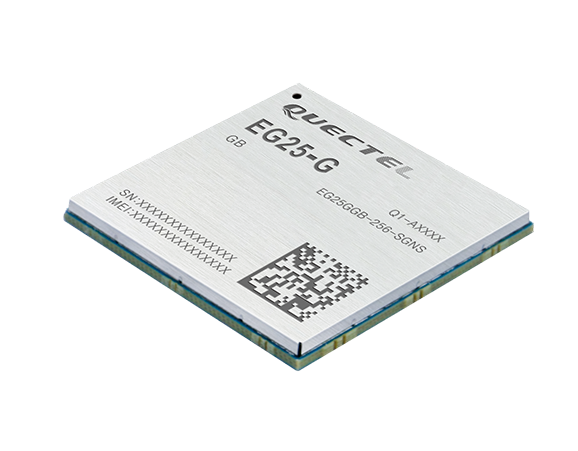 EG25-G is the latest addition to Quectel’s comprehensive LTE portfolio based on Qualcomm MDM9x07 chipset. 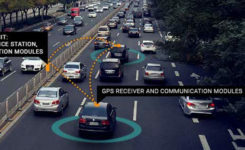 Adopting the 3GPP Release 11 LTE technology, it delivers 150 Mbps downlink and 50 Mbps uplink peak data rates, with an optional GNSS receiver including GPS, GLONASS, BeiDou, Galileo and QZSS to provide quick and accurate positioning, the company said. The new module supports FDD LTE frequency bands of B1/B2/B3/B4/B5/B7/B8/B12/B13/B18/B19/B20/B25/B26/B28, TDD LTE bands of B38/B39/B40/B41, WCDMA bands of B1/B2/B4/B5/B6/B8/B19 and quad-band GSM/EDGE. This ensures devices with EG25-G inside can operate on networks of major global carriers like AT&T, Verizon, Telstra, Vodafone and T-Mobile. The EG25-G supports multi-carrier switch by detecting (U)SIM card. Designed in a compact LGA form factor measuring 29.0×32.0×2.4 mm, EG25-G is pin-compatible with Quectel’s EC2X family, allowing flexible migration. It also offers Mini PCIe form factor with built-in sim card holder to provide a better plug-and-play experience. EG25-G has a rich set of Internet protocols, industry-standard interfaces, abundant functionalities and extended life cycle, and is designed for verticals including industrial routers, industrial PDA and video surveillance.